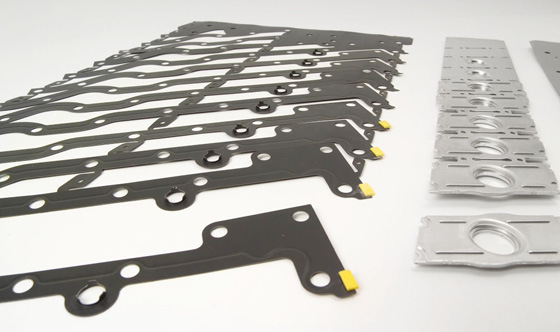 Our state-of-the-art stamping machines generate forces from 400 kN to 3150 kN and produce elastomer flat gaskets in quantities from 1000 to 3 million units per year. In combination with our 25 years of expertise with these components, we realise in a joint development with our customers filigree components with a variety of impressions. We emphasize the optimum utilisation of the material and together with our customer streamline the component when ever possible. We will be happy to carry out refinishing works such as connecting/press-fitting or thermal degreasing. 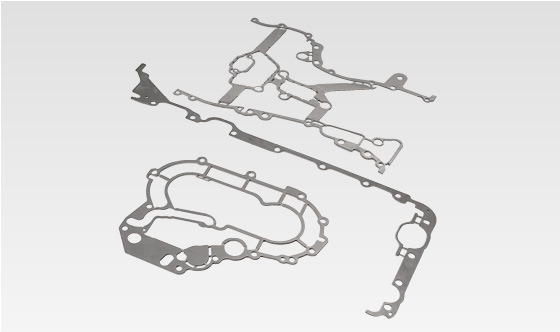 Furthermore, we have the expertise and technical know-how in the area of stamping parts made of NBR-coated materials and complex head, liner, and bead positions of cylinder head gaskets. 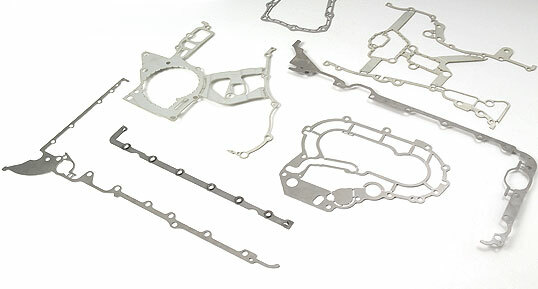 Whether you need a simple or complex solution: We always provide components of the utmost quality. We use state-of-the-art process monitoring systems on several stamping lines in order to detect process malfunctions well in advance. 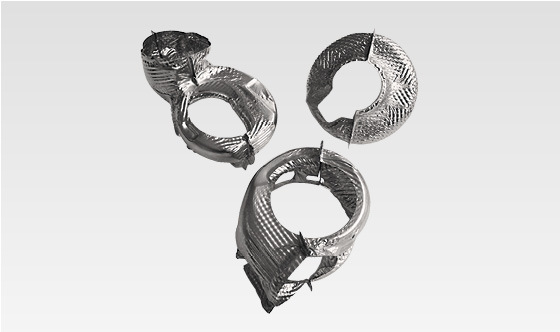 We have been manufacturing tools for the production of metal parts for heat shields for more than 30 years. Upon the request of our customers, over the last few years we have increased our small batch and large-scale production for the automotive sector. The quantities consist of a few hundred to 600,000 heat shield liners per year. 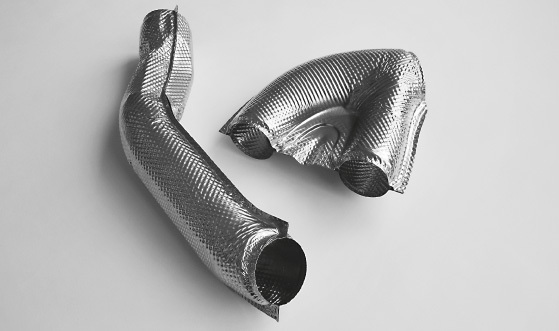 The currently applicable European emission standard EU 6 and US standard BIN 5 significantly increased the necessity to insulate vehicle exhaust gas line. 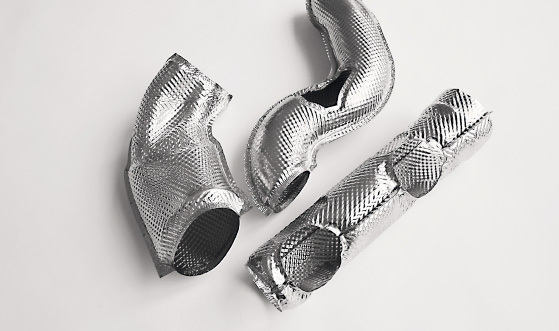 The entire exhaust gas tract, starting from the manifold to the turbocharger, converter, diesel particle filter to the exhaust pipes must be covered. The production is carried out mainly by our 630 to 3,150 kN hydraulic presses. Nevertheless, our stamping machines are also used for specific items. Many years of experience and our in-house embossing capability allows us to form components with the most complex geometries for you. 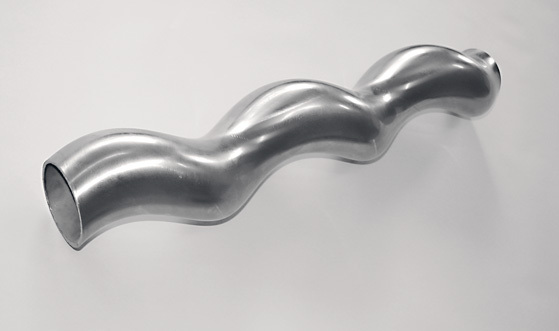 One of our special products is the tubular rotor for progressive cavity pumps. In order to manufacture these tubular rotors, we use steel pipe material S235JR+AR/St37-2 and S355J2+N/St52-2 and stainless steel 1.4301, 1.4404 and 1.4548. The diameter of these tubular rotors can be as small as 32 mm up to a maximum of 132 mm. The wall thicknesses range from 3 mm to 5 mm, while the rotors can be up to 8 m long and uses a left- or right-hand helix. 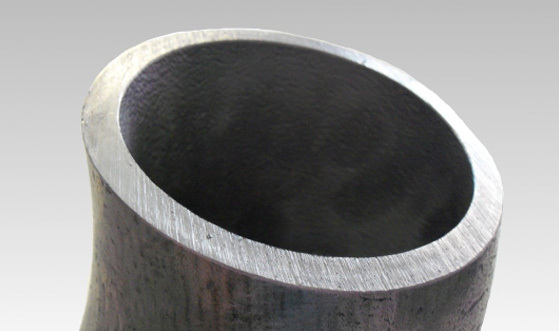 The tight tolerance of the diameter is only ± 0.1 mm and even without re-machining, the surface quality remains very high. We use toggle presses that exert a force of up to 10,000 kN to produce our rotors. 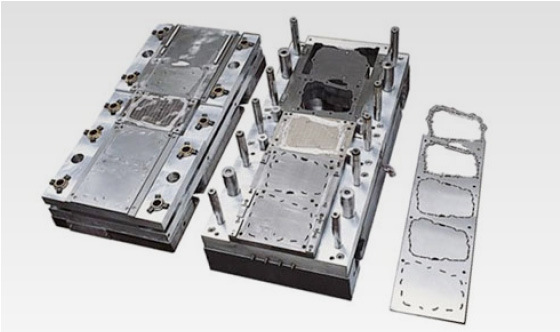 Our stamping lines produce forces up to 3150 kN and our 19 mechanical and hydraulic insertion presses generate forces up to 3150 kN (toggle presses use up to 10,000 kN). This allows us to complete (almost) any challenge handed to us. Especially for the automotive sector we produce single and compact retainer components. 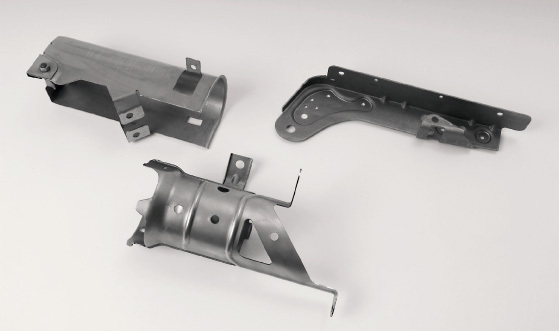 Our in-house design and tool making department, as well as external and long-standing partners in the area of water jet/laser cutting and bending, we are able to deliver prototypes as fast as possible. 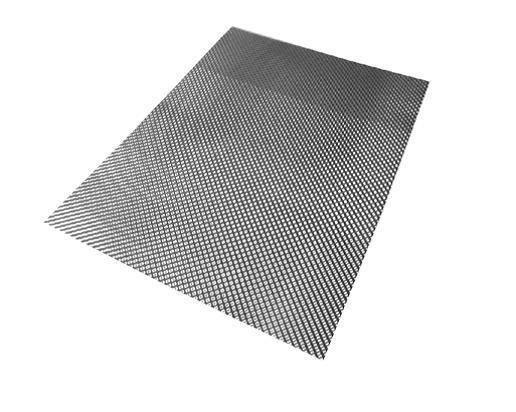 We offer you a wide selection of structured thin metal sheets/“embossing sheets“ in a variety of processed conditions, meeting your individual requirements. The primary material is stainless steel (1.4541, 1.4828, 1.4301), aluminium (Al99,5) or hot-dipped aluminised steel (DX53D+AS120) at thicknesses of 0.1 mm – 0.3 mm. 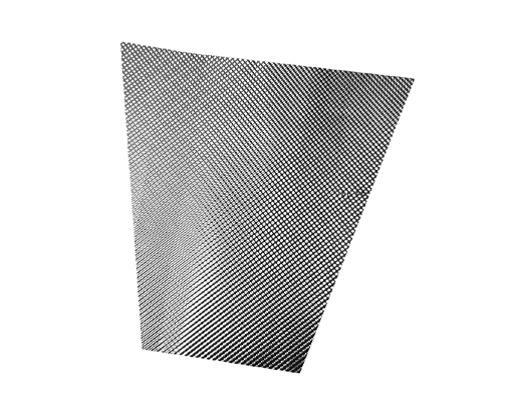 We have been using this material in our production for more than 15 years and, during this period, we have gathered substantial experience on how to use this material. 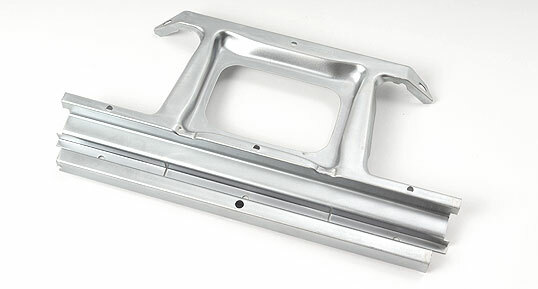 Forming metal has become more and more complex and the associated challenges arising during the process have prompted us to manufacture the structured sheet metal ourselves in the past several years. This allows us to inspect and have a better control over the entire process. 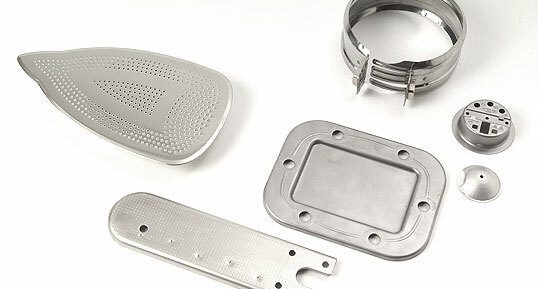 These diverse optimisation measures applied to embossing plates resulted in considerable reduction of problems that occurred previously during the forming process.